Have you ever been in a situation where you had to borrow money from friends or relatives in order to pay for an expense such as hospitalization of your loved one? This is a common scenario for most Filipinos because most of us do not consider saving for emergency funds. Here are 10 useful tips that you should definitely consider in order to save for your emergency funds. Knowing how much you spend daily can help you in determining whether you’re being too carefree when it comes to your expenses. It’s also important to know what your needs and wants are — prioritize your needs over your wants. If you think you do not need those new pair of shoes, then you probably do not really need them since they are just your ‘wants’, and your current pair of shoes are still good and comfy. 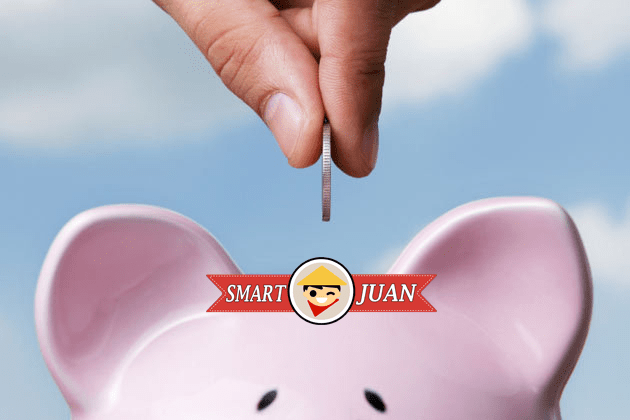 In order to maximize your savings, you should set aside a certain portion of your monthly salary for emergency funds. Most of us tend to spend most of our salary on things that we don’t really need. So always remember to prioritize allotting a portion of your salary every month. If you have a bunch of old gadgets, clothes, or even appliances, consider selling them so that you’ll have extra income. Not only you’ll be able to free your house of unwanted items, you’ll also be able to earn extra for your emergency funds. There are several sites where you can sell your items easily, and one of which is Facebook. Recently, I have discovered that Facebook has launch its own marketplace wherein users can post for sale items. Bring your own packed lunch to work to avoid spending a lot on food. Preparing your own food has a lot of advantages especially when it comes to your savings, plus you know that what you eat is healthy and prepared clean. Do your grocery shopping weekly so that you can maximize your budget. Alternatively, you can even bring last night’s left-over for lunch if you’re not very picky. What matters most if that you’re saving a lot and you have your emergency funds. When travelling short distances, it’s always better to just walk or ride a bicycle if you have one. Not only this is good for your wallet but it’s also good for your health! So instead of hailing a cab or a tricycle the next time you want to visit a nearby friend, you can just walk or ride your bicycle. Do not just rely on a single source of income. It’s always better to have another source of income to earn even more. If you’re good at doing something, you can sell your services to your friends or relatives. Alternatively, you can be an online freelancer. Say for example, if you’re good at writing, there are websites where you can sign up to become a freelance writer. The possibilities are actually endless if you know how to look at the right places. Some people put up a small business such as a sari-sari (convenience) store at home to earn extra income. If you received a bonus at work or received a salary increase, don’t think of buying that latest gadget just yet. Instead, add your extra money to your emergency funds. Remember tip number 1, always prioritize your needs versus your wants. So if what you’ll buy is not a necessity, might as well just save your extra money so that you’ll have your savings when an emergency arises. There are plenty of ways nowadays when it comes to conserving your monthly utilities such as water and electricity. Before you sleep at night, always make sure that all the faucets in your house are properly closed and there are no leaks. You should also unplug unused appliances to save more on electricity. Did you know that even when your TV is turned off, it will still consume electricity if it’s plugged in? The savings that you’ll get from conserving utilities can be added to your emergency funds. If it’s possible, you can postpone your summer getaway while you still do not have your emergency funds. We are not saying that you should cancel it but just move it to a later date when you already have earned more for your emergency fund. Nothing is more stressful than not having the money to spend when the need arises, so it’s always wise to prioritize your savings than spending on unnecessary things. You’ll be more motivated to save more and you can also consider this as a challenge. You can join groups on Facebook that teach you how you can save more. At work, you can also influence your colleagues to join you in reaching your goal. So instead of listening to people who do not understand the importance of having an emergency fund, choose to interact with people who has the same goals as you. Life will be so much easier. If you have more tips to share, don’t forget to share them in the comments section below. Share this article to your friends and relatives and help them save for their emergency funds!